Being a pessimist is not easy, and it is, contrary to other beliefs, not something you can change from one day to another. It is not something you can control and it eats you up from the inside. But how is life as pessimist? Being a pessimist is waking up everyday thinking the day is gonna go terrible because it is raining, or thinking that everything is ruined just because one little thing didn’t work out for some reason, but then trying to think positive and remembering that nothing is ruined, and you are probably just overreacting. I am a big believer of karma, and my mom always tells me that positive thinking will bring positive energy and make things synchronize, which is probably true. But how can you think positive when everything goes wrong? As a pessimist, when one thing goes wrong, everything else seems to go wrong. And at all times you try to convince yourself that it is gonna be ok, you try to convince yourself to think positive and to be prepared and to wish for good things, but somehow the negative thinking is always there, hidden behind your mind, waiting to come out and ruin your day. 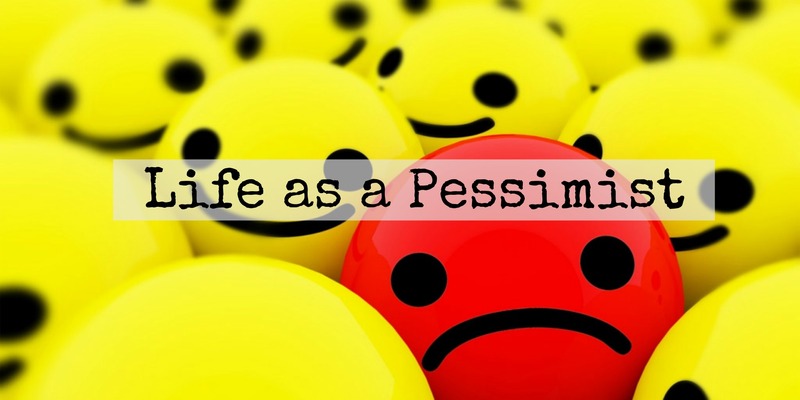 Being a pessimist doesn´t mean you cannot see the good side of things, or that you don´t wish everything will turn out ok. It just means you are waiting for everything to go wrong. We usually lie to ourselves and call it being realistic, but the truth is, we just attract the bad things by already expecting it to go wrong. It is not easy, and it is not controllable. But I, personally, am working on it, and each day I am one happy though away of being an opitmistic person. What about you? 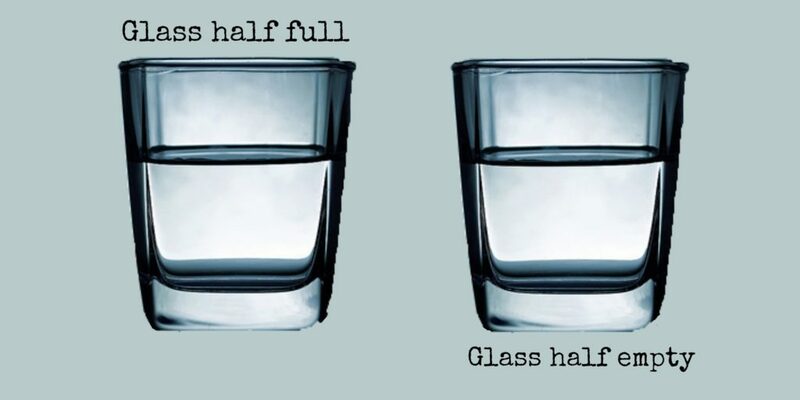 Is your glass half empty or half full?